Choose a page number to see the recommended websites and downloadable pictures for this book. 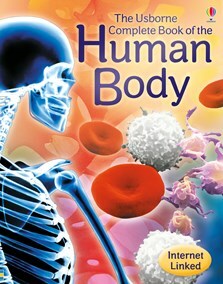 A fabulously illustrated and fact-packed introduction to the human body and how it works. Each topic is explained with engaging and informative text alongside extraordinary photographs and diagrams, plus simple experiments to try. Internet links take readers to selected websites to find out more, and there’s a contents page and an index. very good book for all situations and contains good factual facts.